Now that Apple has officially announced the existence of a dedicated media event next week, let the intense speculation begin. We’ve been expecting the invitations to arrive for quite some time, with the general consensus being that Tim Cook will unite his executive team once again in San Francisco to introduce the world to the future of the iPad. As part of that introduction, Apple is heavily expected to announce the second-generation iPad Air, which will of course feature a plethora of upgraded and new components in its hardware DNA, including this 2GB Elpida RAM chip, if the latest leaks are to be believed. 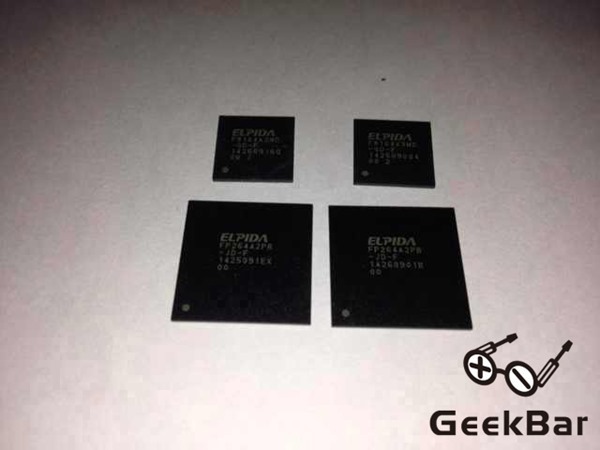 The leaked image, coming courtesy of Chinese social networking site Weibo, purports to show a fairly decent quality image of an Elpida 2GB RAM module, with the speculation attached to the image suggesting that this will be the exact same module that will ultimately ship with the soon-to-be announced iPad Air 2. We’ve already had the pleasure of reading a number of pre-announcement reports saying that Apple will indeed be upgrading the RAM in the next-generation iPad Air. Considering this leaked module is pretty much identical to the current 1GB variant that lives in the original iPad Air, it would seem to make sense to assume that this will be Apple’s chosen direction. The potential of a full-sized iPad with upgraded memory will likely be something that consumers in the tablet space have been yearning to hear. Apple originally included 1GB of RAM with the third-generation iPad, and made the internal decision to stick with that setup for the iPad 4 and original iPad Air, more than likely in an effort to keep manufacturing costs to a minimum. However, with the launch of iOS 8 and the powerful features contained within, the time may be right to increase the memory offered with any new iPad. 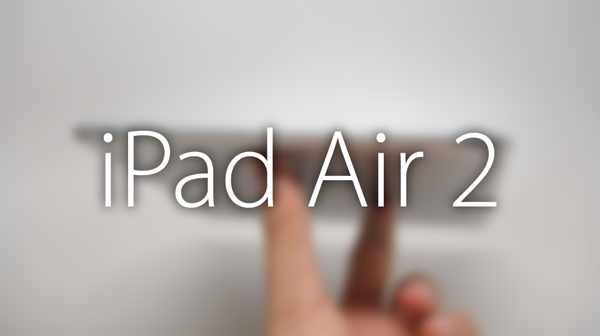 In addition to the improved RAM, the second-generation iPad Air is expected to benefit from a processor upgrade, a slight aesthetic overhaul and the inclusion of the company’s Touch ID biometric sensor that allows users to authenticate with the touch of a finger. A number of reports are also suggesting that the event on October 16 will also include a new iPad mini as well as updated Mac minis and Retina-ready 27-inch iMacs. Stay tuned. It could be an expensive month for Apple lovers.